Have you ever found yourself needing to quickly check the Rules of Procedure for Greene County’s Domestic Division? Needing a sample Affidavit for Allen County at 2 am? Want to read through the Rules of Procedure for Appellate Court while riding the bus? 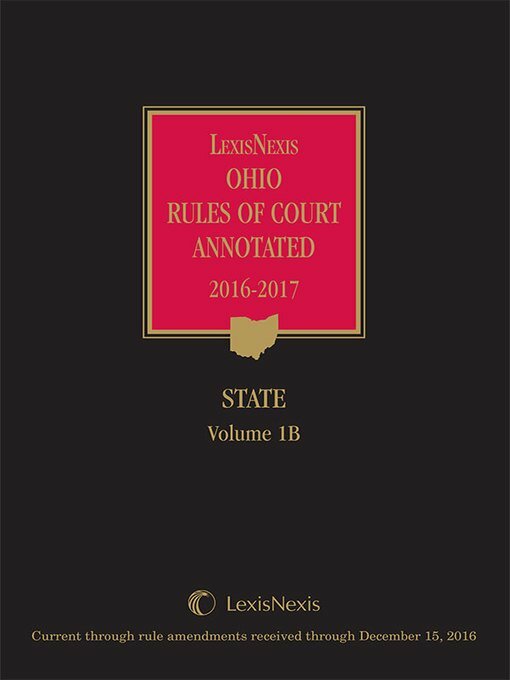 Hamilton County Law Library has the entire collection of Lexis’ Ohio Rules of Court available for download in ebook format! This includes local, state and federal volumes that can be checked out for 7 days at a time and perused on your mobile device or computer. This is also an excellent way to obtain digital copies of the forms contained in these books without having to scan the print version to PDF and then utilize special, often expensive software to edit it.